CHICAGO — Joe Maddon wasn’t thrilled when the Chicago Cubs were forced to endure less than ideal weather conditions last weekend. Thanks to an extended blast of winter, the Cubs will have been off the field for two straight days when they face the St. Louis Cardinals on Tuesday at Wrigley Field. Monday’s scheduled series opener was postponed by inclement weather as snow fell in Chicago and wintry temperatures and frigid wind chills were expected to hang on throughout the day. Monday’s game will be made up on July 21 as part of a split doubleheader, the Cubs announced Monday. Sunday’s series finale against the Atlanta Braves was postponed because of weather and Monday’s postponement came a week after snow wiped out the Cubs’ home opener. After Saturday’s 14-10 come-from-behind win over the Braves, Maddon called the playing conditions Saturday the worst he has seen in a game he has been involved with. Maddon went on to say the game should have never been played and said the conditions that teams are forced to play in should be discussed at the major league level in the future. “It was the right thing to do,” Maddon told reporters. 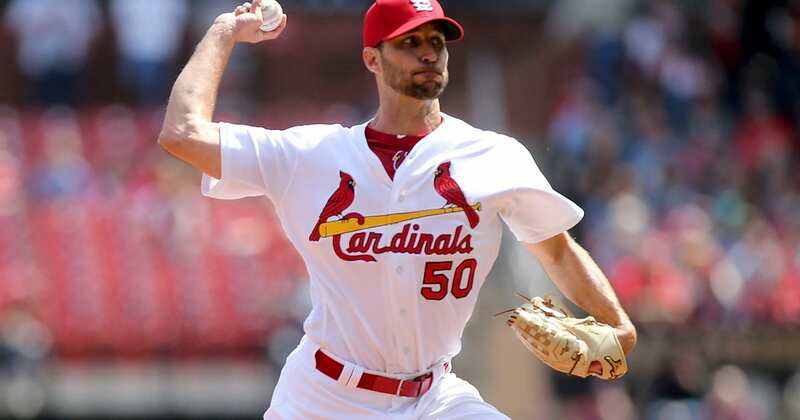 Adam Wainwright (0-2, 5.06 ERA) will start for the Cardinals and, like Chatwood, had his scheduled start Monday pushed back. Wainwright is coming off a strong seven-inning effort in which he struck out four and didn’t allow a walk while scattering eight hits against Milwaukee. He is 14-9 with a 4.03 ERA in 34 career starts against the Cubs. The Cardinals were able to find some consistency against the Reds in the series sweep and finished off the four games scoring 27 runs while the bullpen was solid, including helping preserve a 3-2 victory on Sunday. Cardinals starters were also impressive against the Reds and picked up the victory in each of the four games, which hadn’t happened since 2015, according to mlb.com.